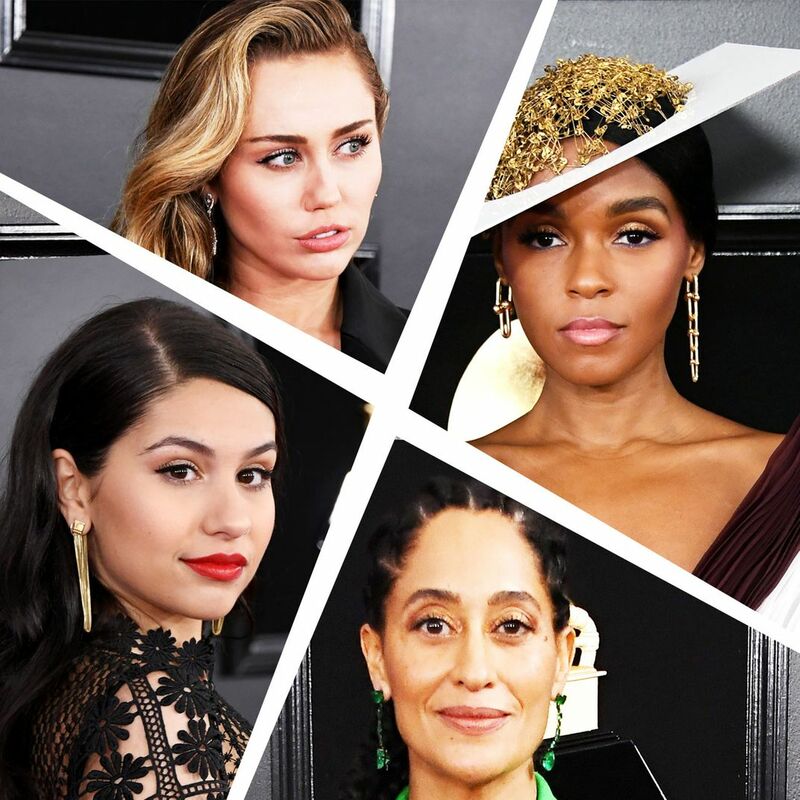 11 Very Good Beauty Looks From the Grammys Not bad! 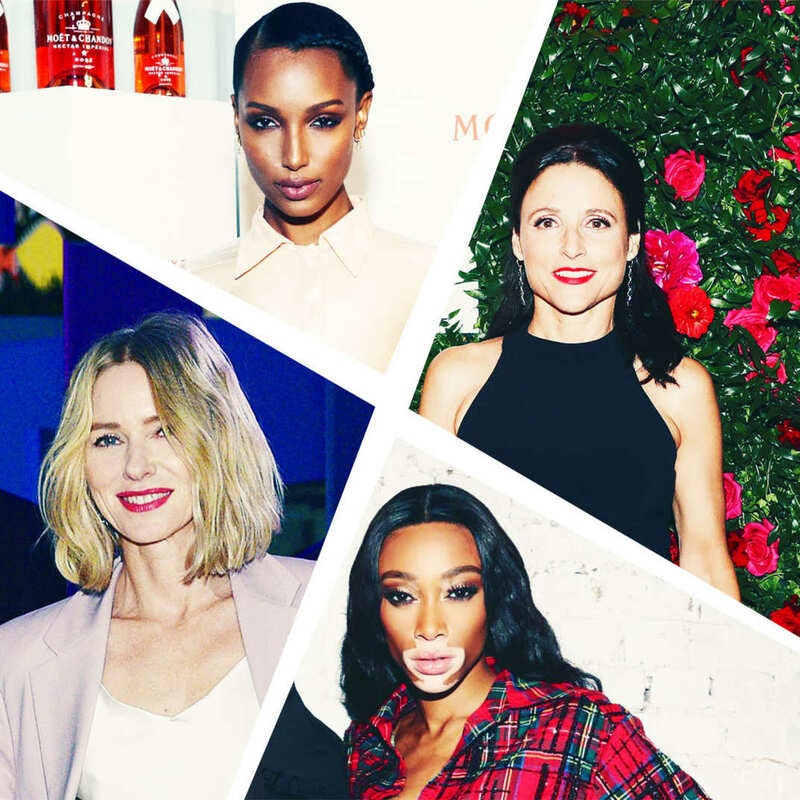 Jennifer Lawrence Tackled Adele at an NYC Gay Bar The pair tore it up at Pieces Friday night. 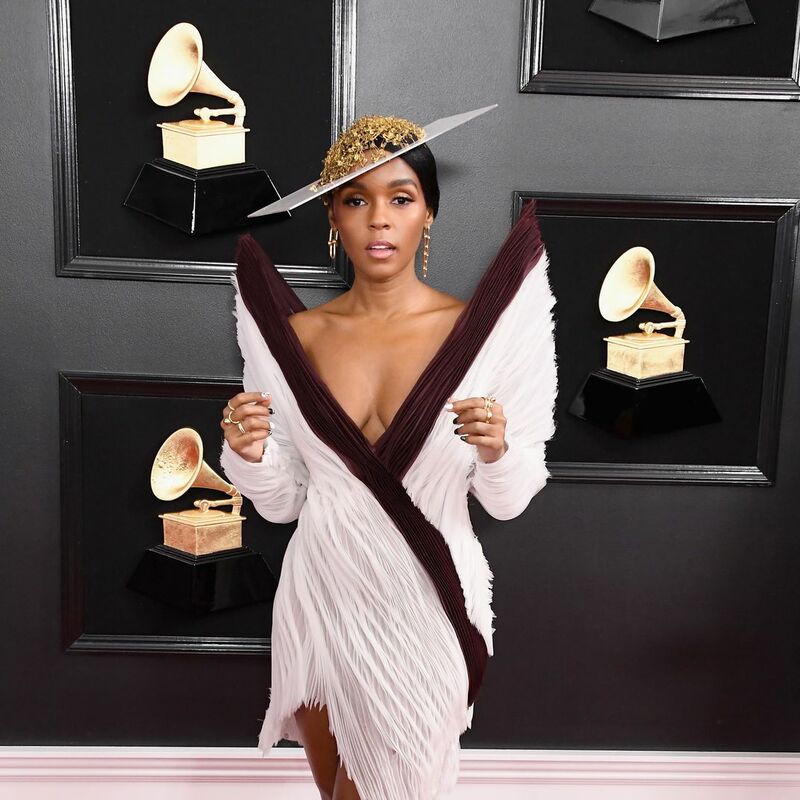 Thank Goodness for Janelle Monáe on the Grammys Red Carpet Her structured dress and asymmetrical head piece were anything but safe. 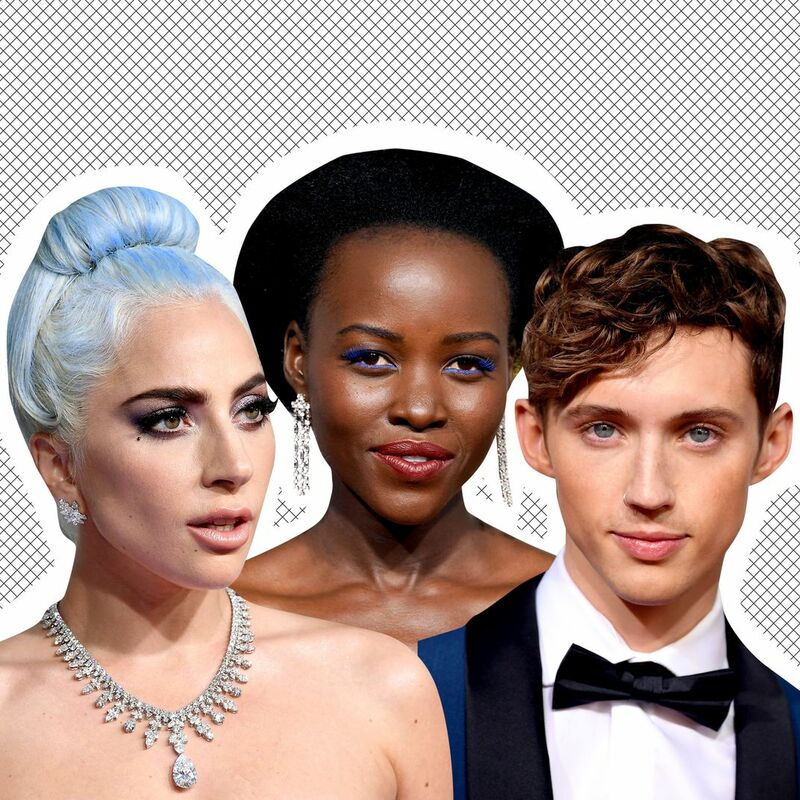 Can Timothée Chalamet Fill a Tilda Swinton–Sized Hole on the Red Carpet? 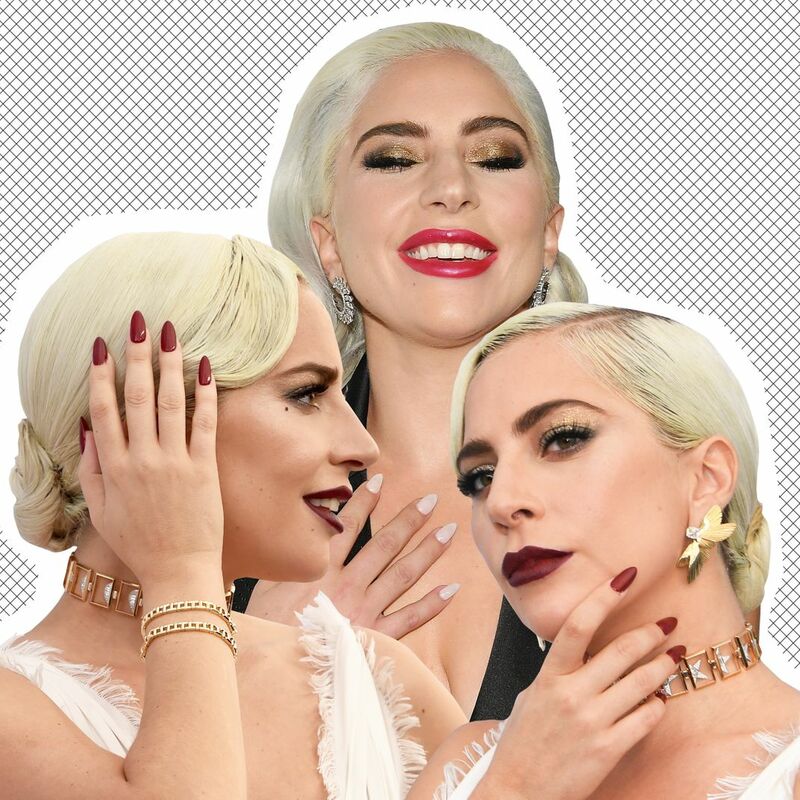 We’ve found him a fashion role model. 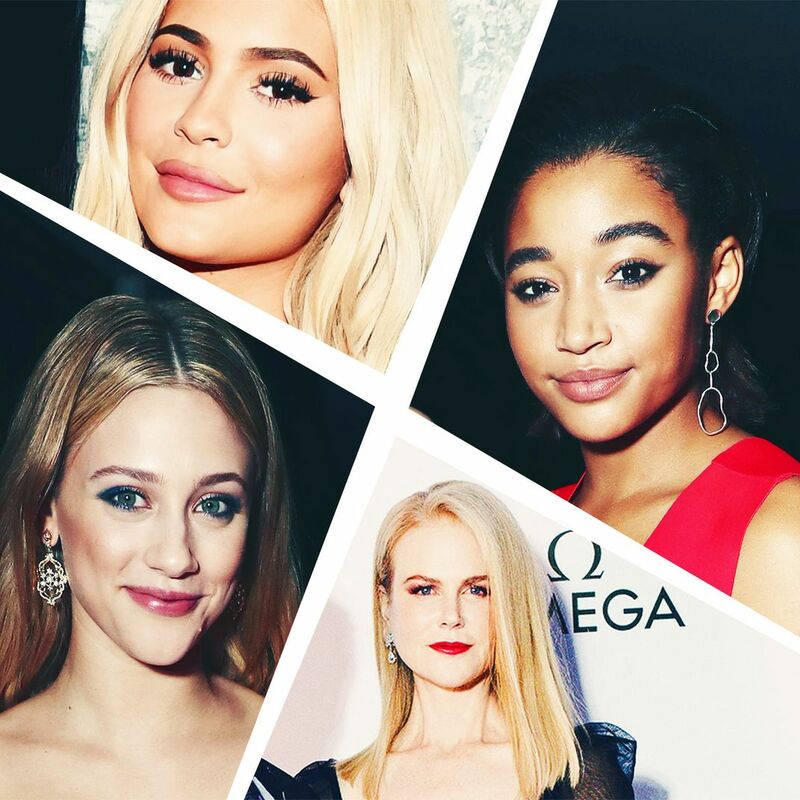 The Least-Boring Beauty Looks From the Golden Globes Fun looks from the fun awards show. 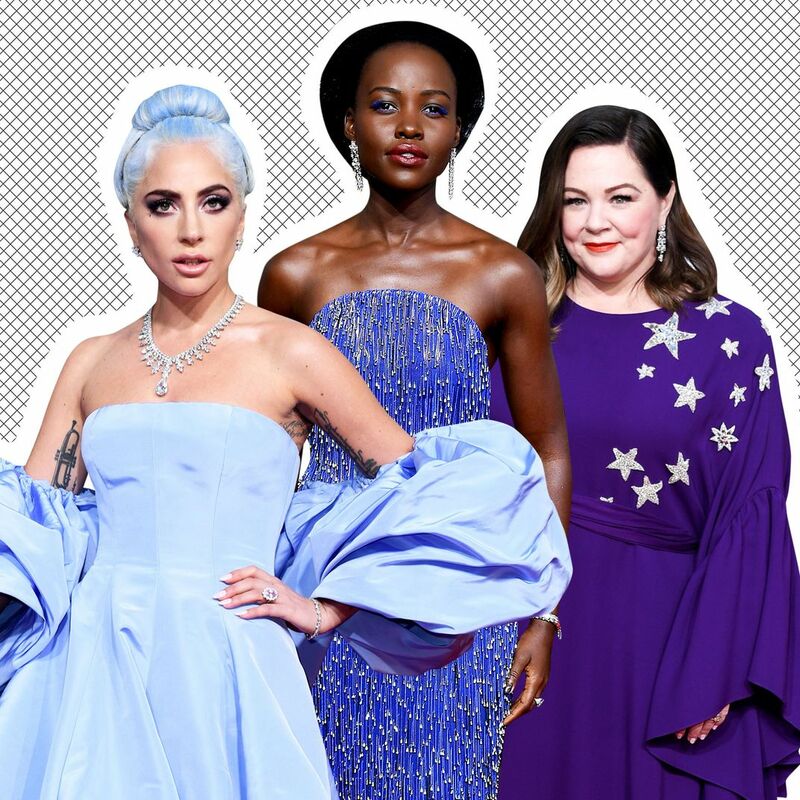 11 Best Dressed Celebrities at the Golden Globe Awards 2019 From Lady Gaga to Lupita Nyong’o. 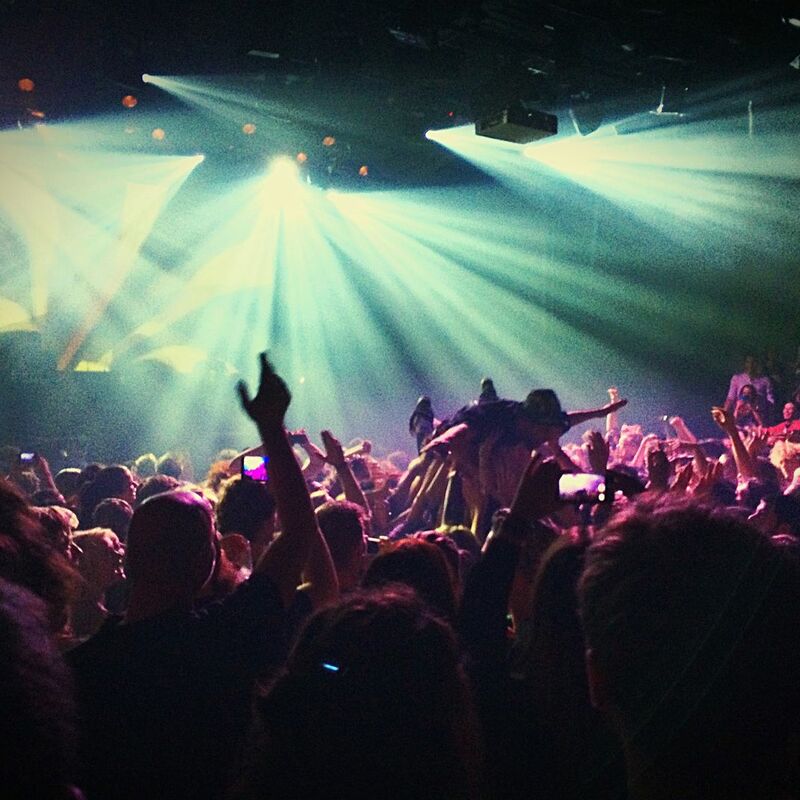 28,000 Dutch People Tried to Crash a 15-Year-Old’s Birthday Party Is everyone in the Netherlands okay? 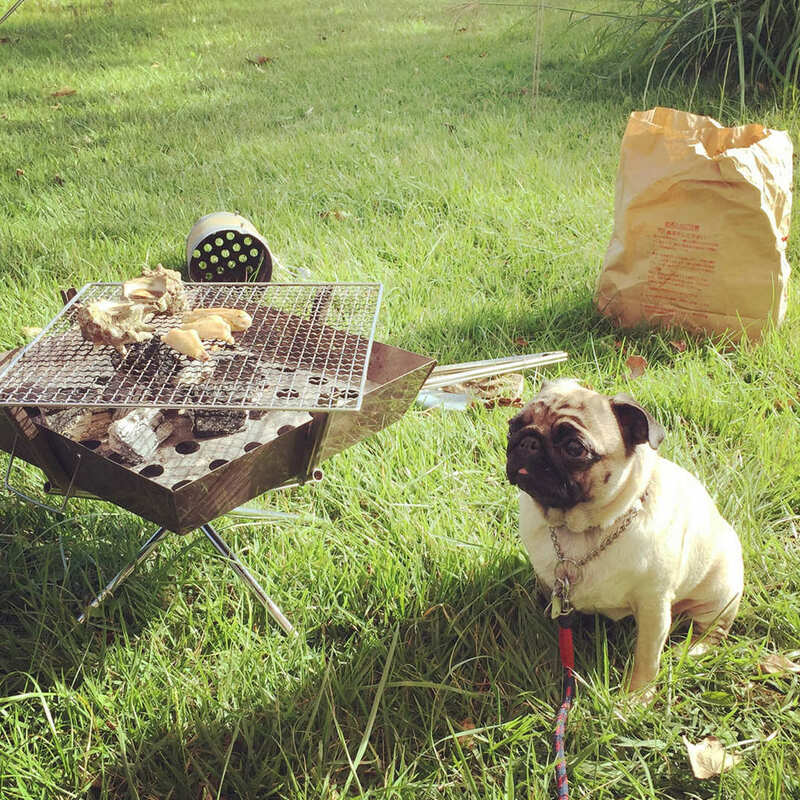 Sofía Vergara Threw a Wild Birthday Party for a Chihuahua I wish I could be half as happy as this rich dog. 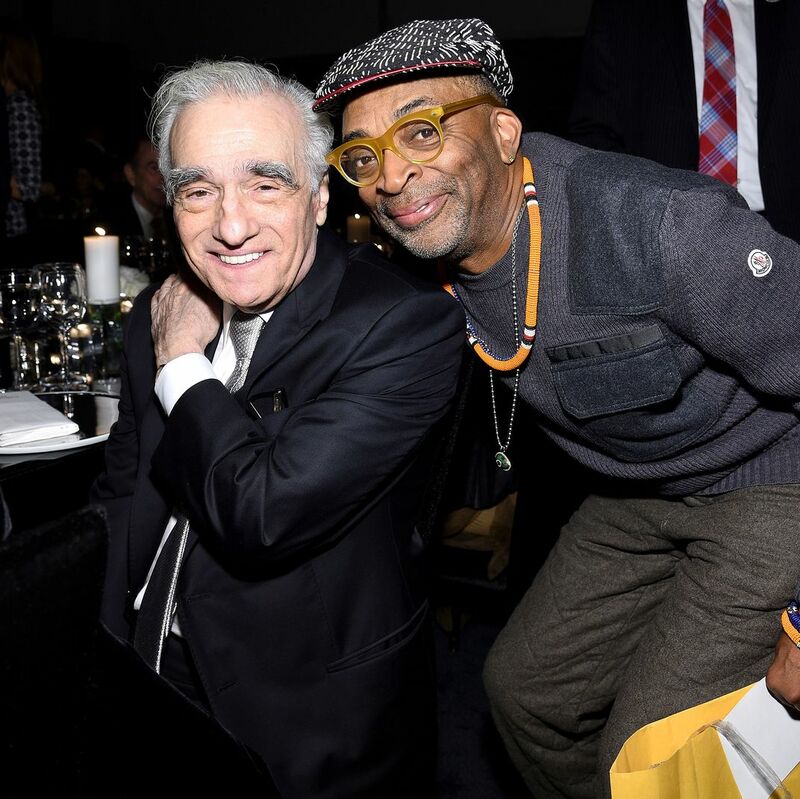 Celebrities Gathered in New York to Celebrate a Hollywood Legend Jonah Hill, Spike Lee, Robert De Niro, and Emily Blunt were all there to pay tribute. 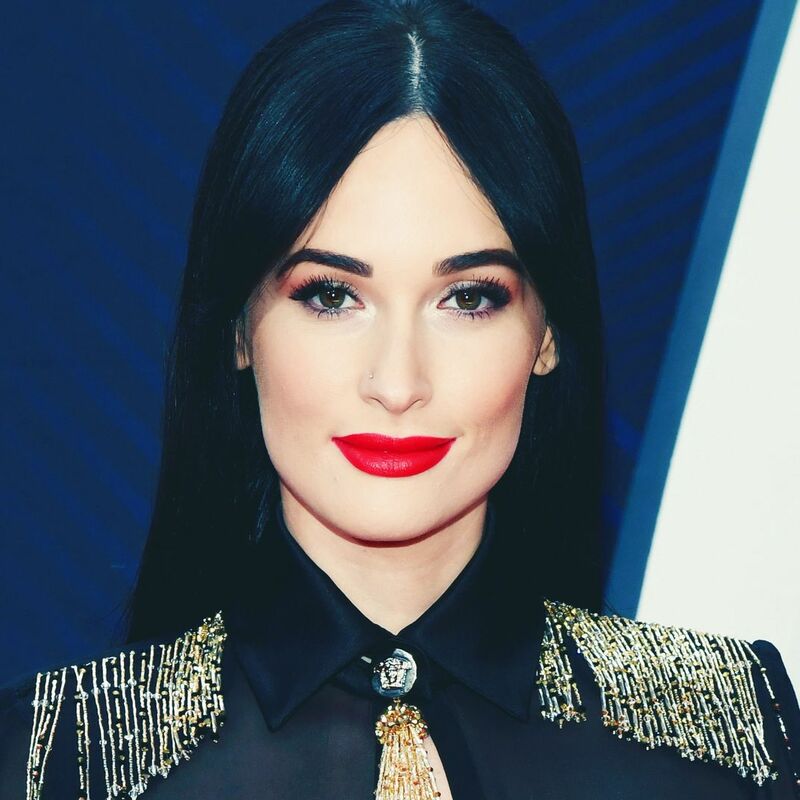 What Is ‘Yee-Haw Couture?’ Let country singer Kacey Musgraves show you. 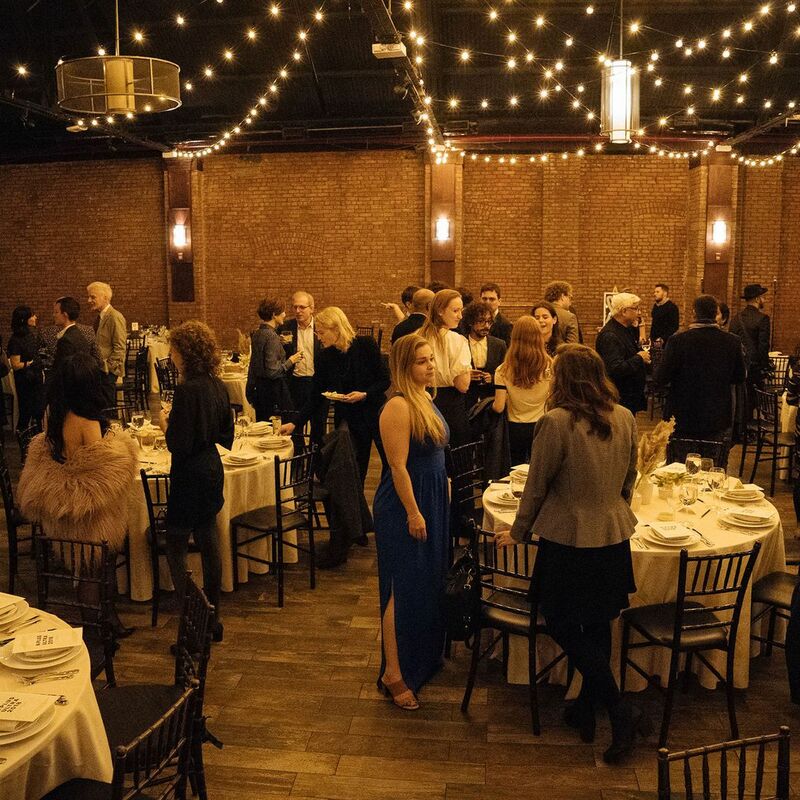 A Dinner Party for the Literary Set Elif Batuman, Emma Cline, and more gathered to support the journal n+1. 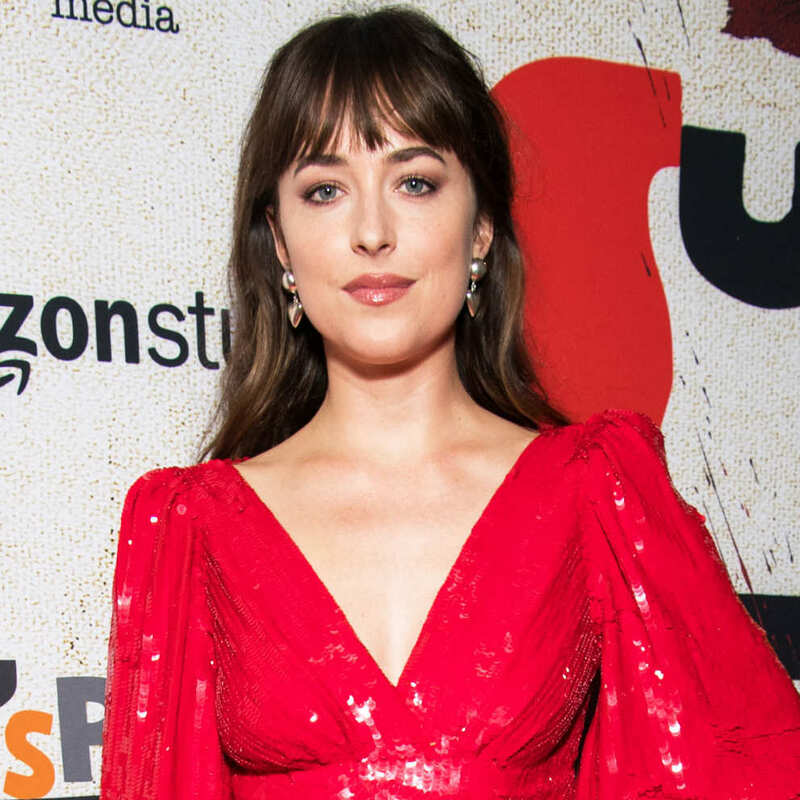 Dakota Johnson Looks Bloody Good in the New Celine The actress wore a dress by Hedi Slimane to the Suspiria premiere. 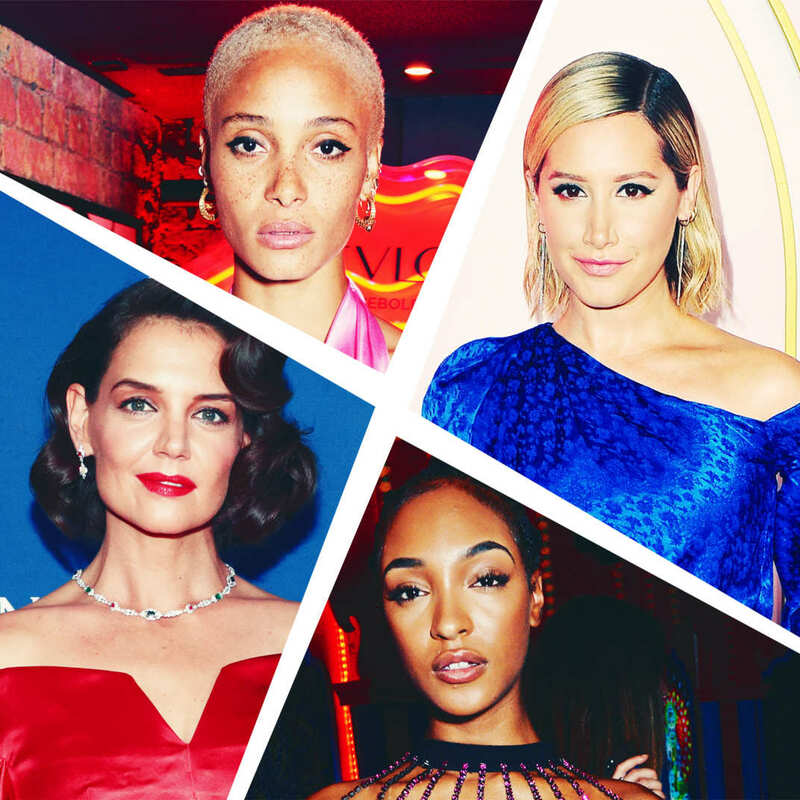 Dolce & Gabbana Brings Together Stylish New York Philanthropists and Millennials At The Boys’ Club of New York 70th Annual Fall Dance. 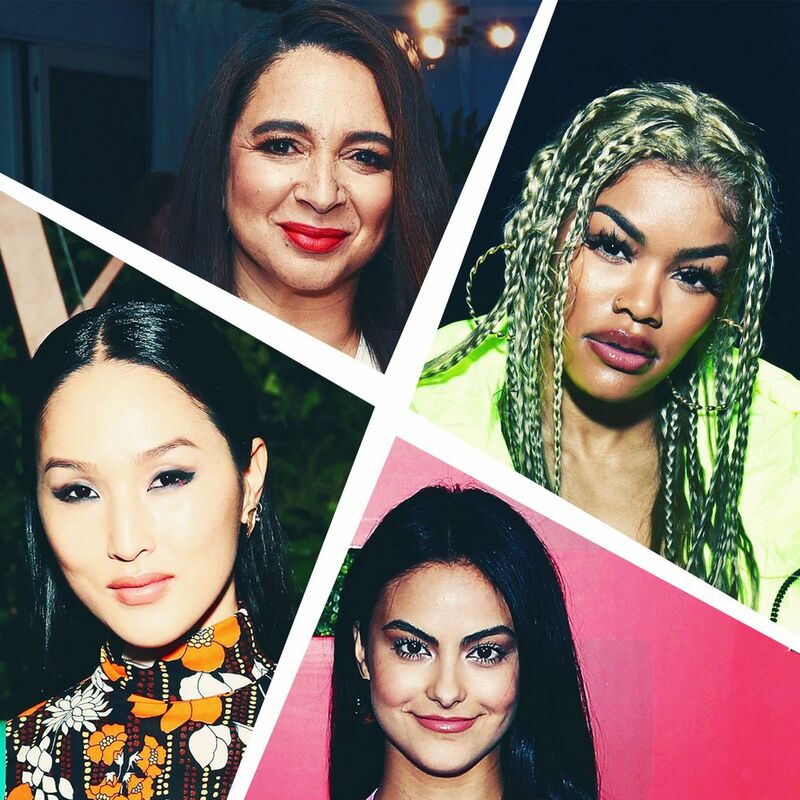 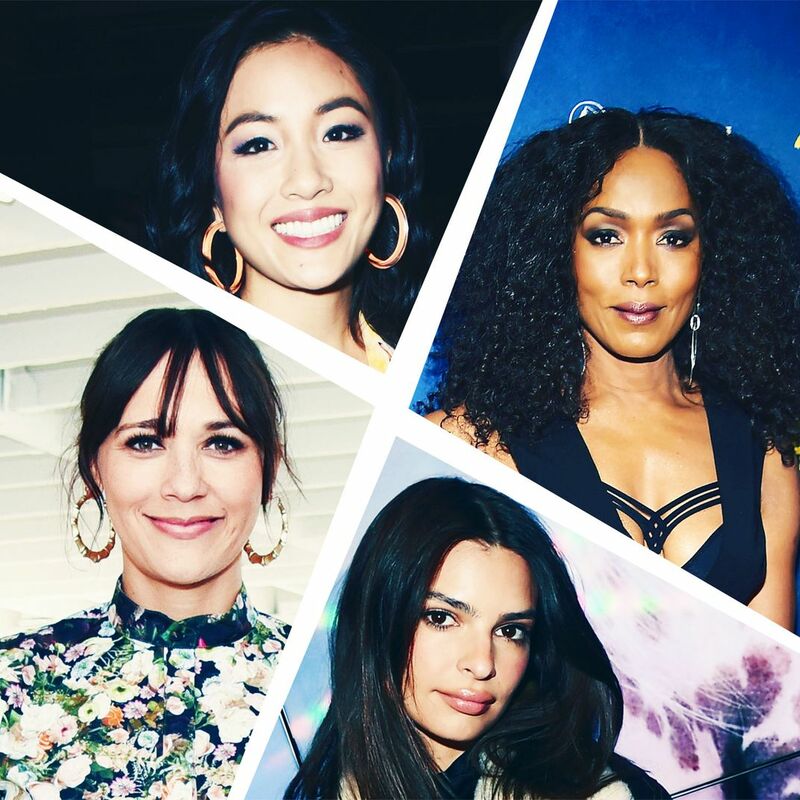 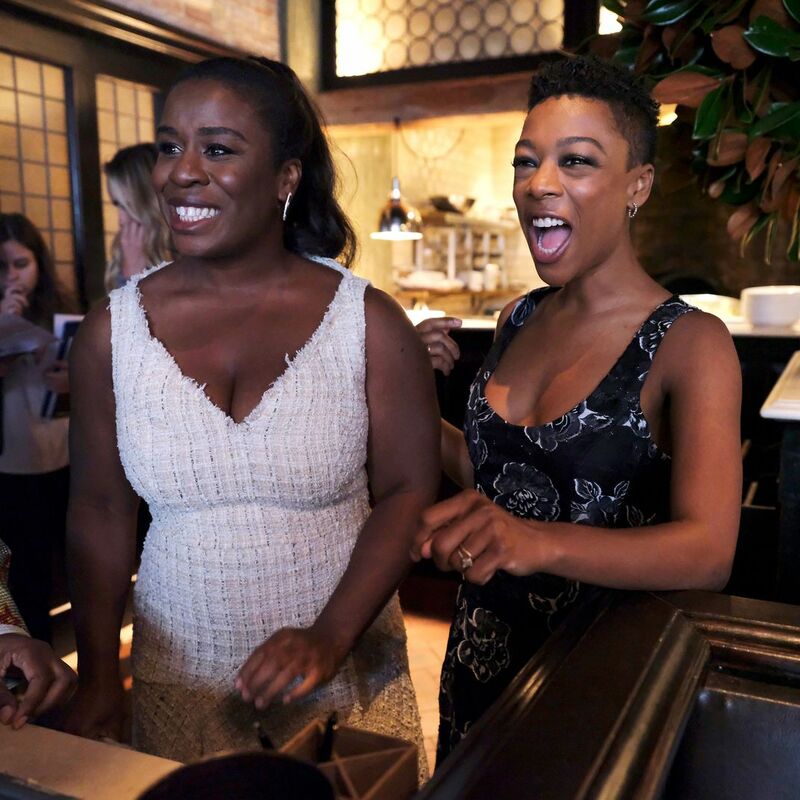 A Star-Studded Celebration of Women Filmmakers Samira Wiley, Uzo Aduba, Katie Holmes, and more guests showed their support for the mentorship program Through Her Lens. 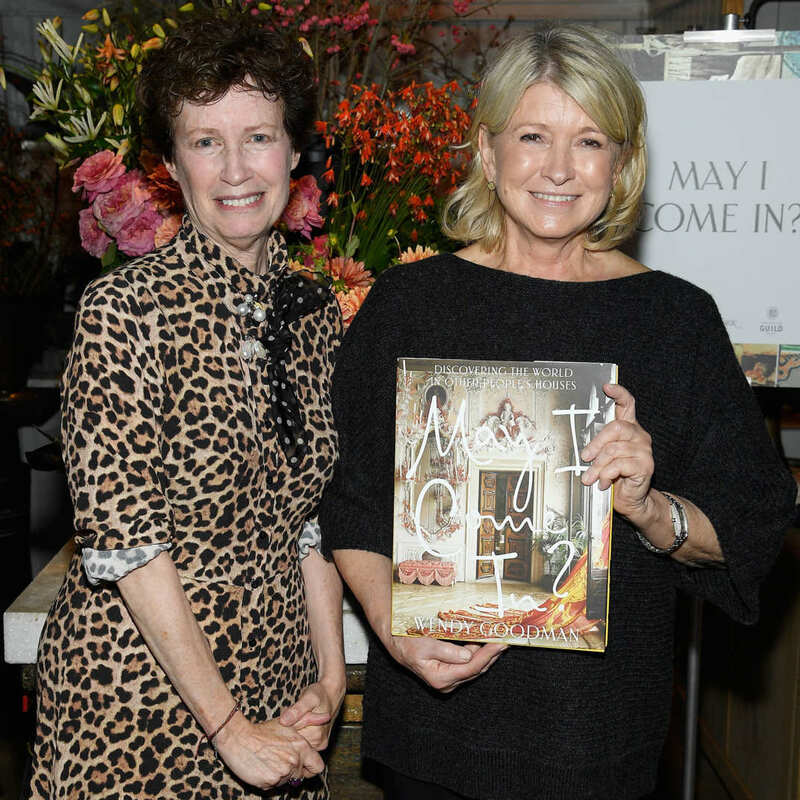 A Book Launch Inspired by Studio 54 Wendy Goodman’s dearest friends gathered in Soho to celebrate her new design book, May I Come In?. 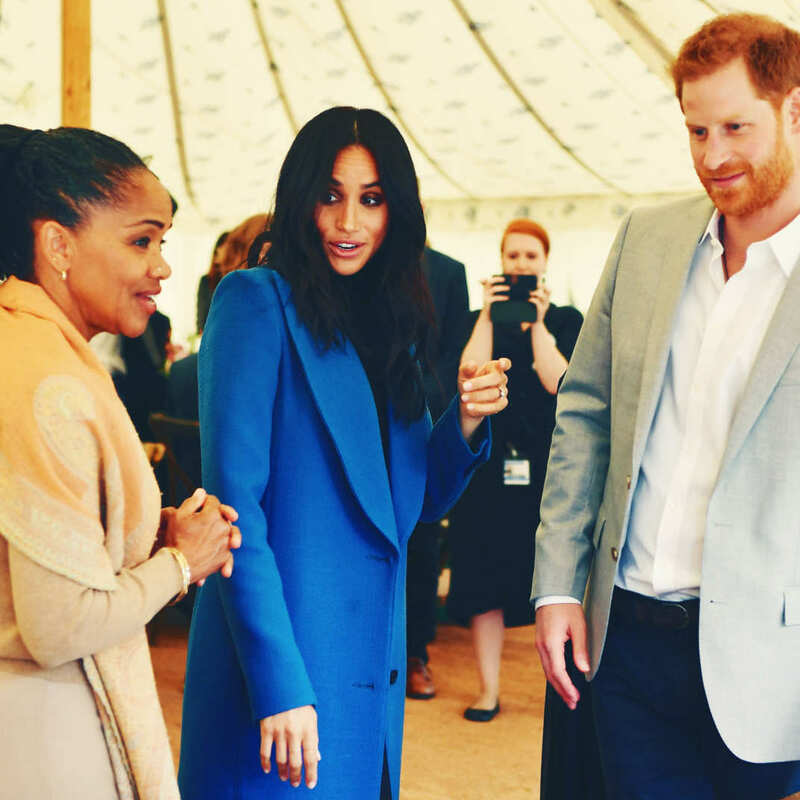 Meghan Markle’s Mom Joins Celebration Lunch for Her New Charity Cookbook Women of the Hubb Community Kitchen, who are featured in Meghan’s new cookbook, helped cook coconut chicken curry, baba ganoush, and chapatis. 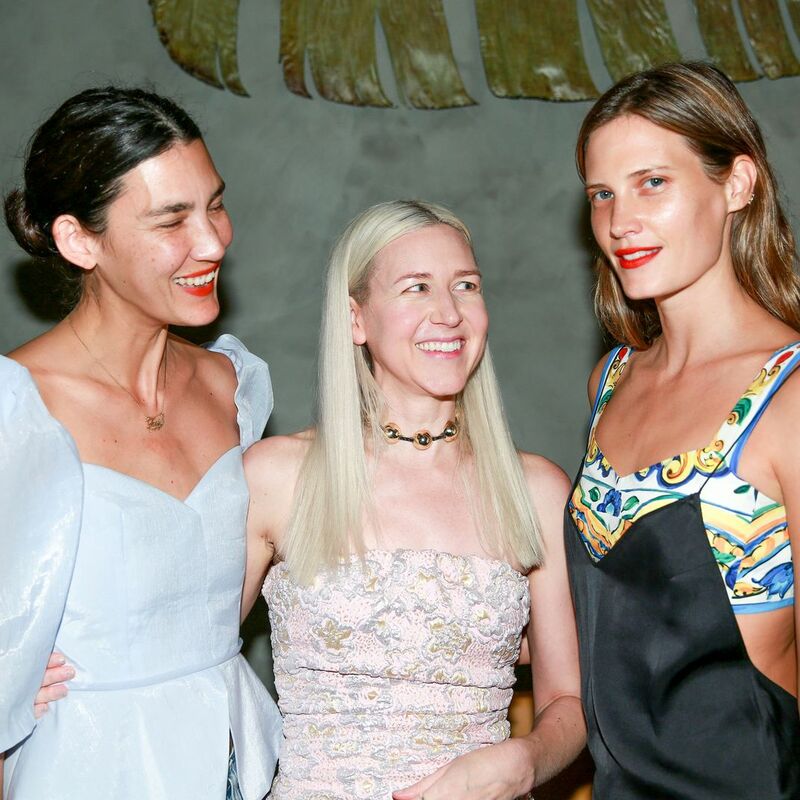 How to Get Mandy Moore’s Surfer-Inspired Smooth Emmys Hair Soft, beachy waves. 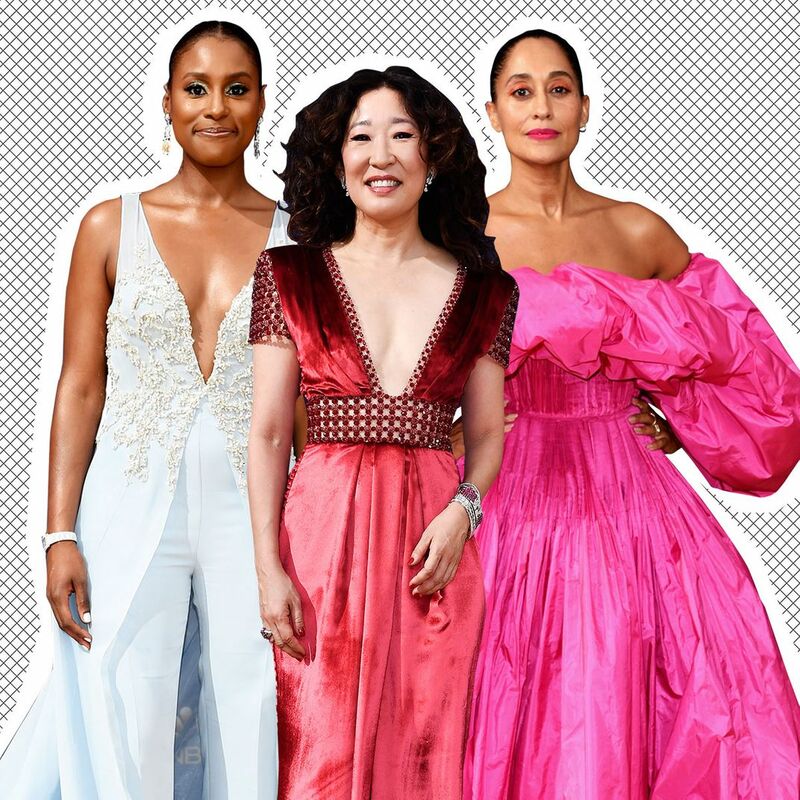 All the Best Looks From the Emmy Awards Red Carpet Get ready for the best looks from the 2018 Primetime Emmy Awards red carpet. 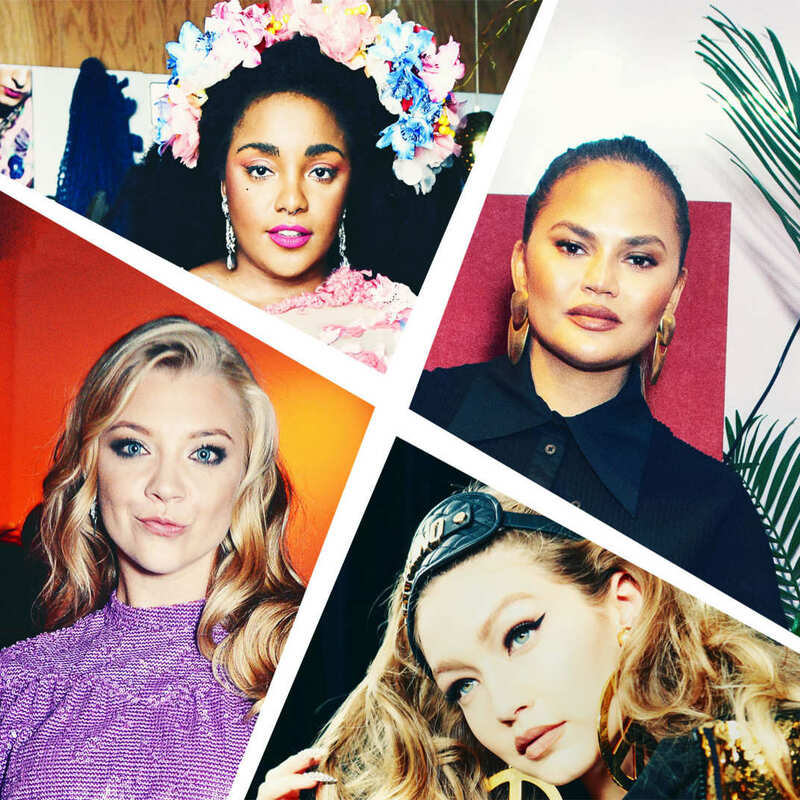 The Best-est Party Looks of New York Fashion Week, Day 7 One awe-inspiring look from every fête that mattered. 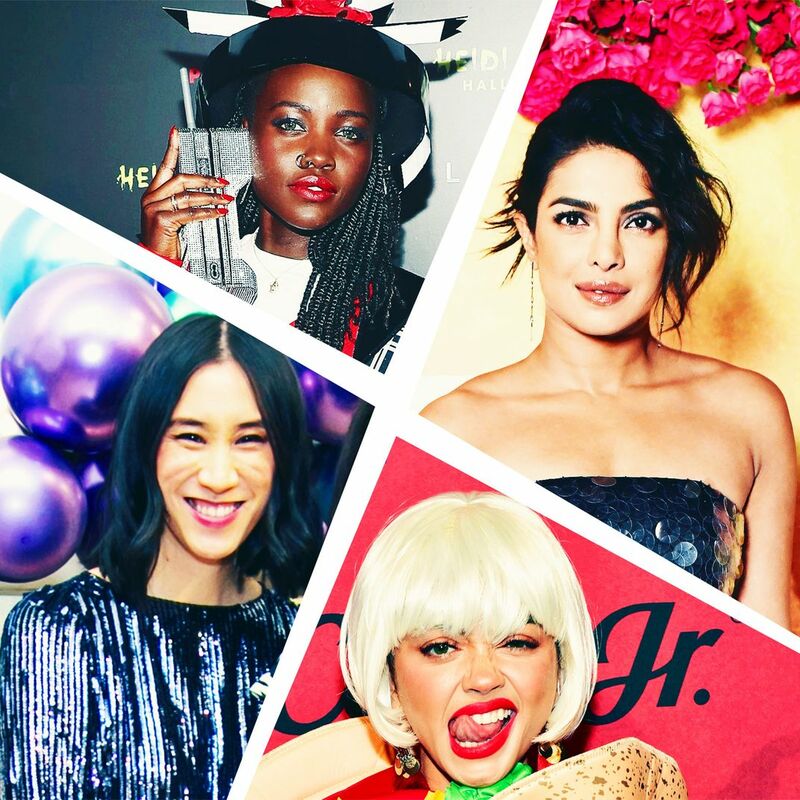 The Best-est Party Looks of New York Fashion Week, Day 6 One awe-inspiring look from every fête that mattered. 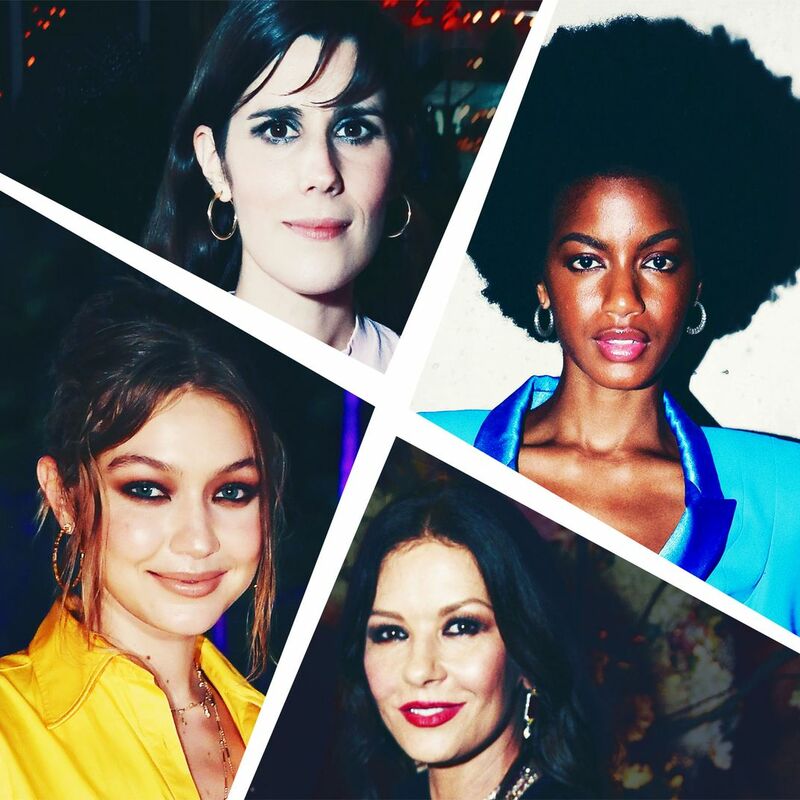 The Best-est Party Looks of New York Fashion Week, Day 5 One awe-inspiring look from every fête that mattered. 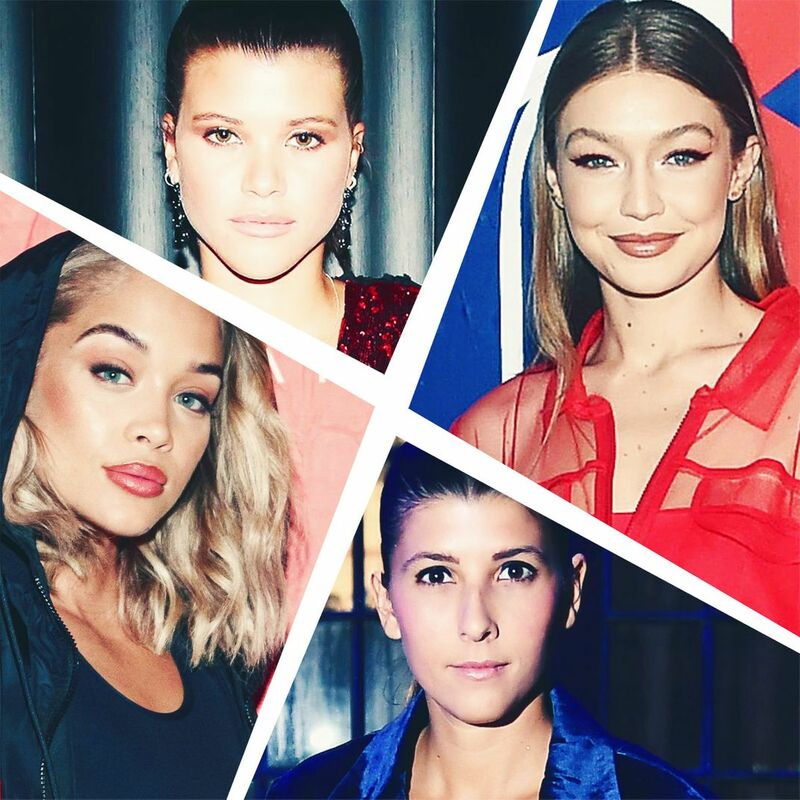 There Were So Many Beautiful People at Tommy Hilfiger’s Party Nicki Minaj, Gigi Hadid, and Hailey Baldwin came out to celebrate Tommy during Fashion Week. 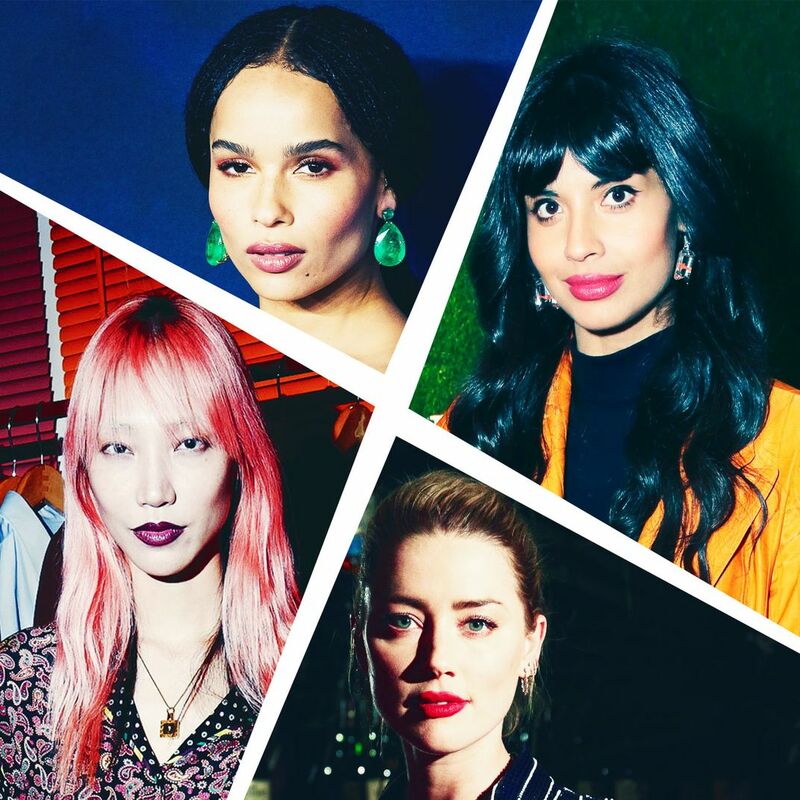 The Best-est Party Looks of New York Fashion Week, Day 4 One awe-inspiring look from every fête that mattered. 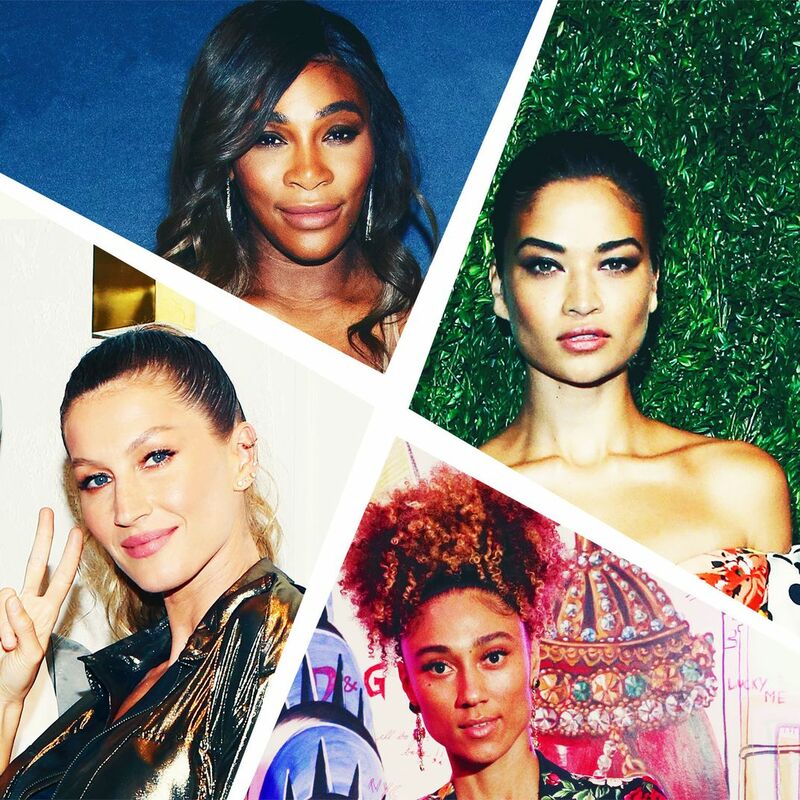 The Best-est Party Looks of New York Fashion Week, Day Three Awe-inspiring looks from every fête that mattered. 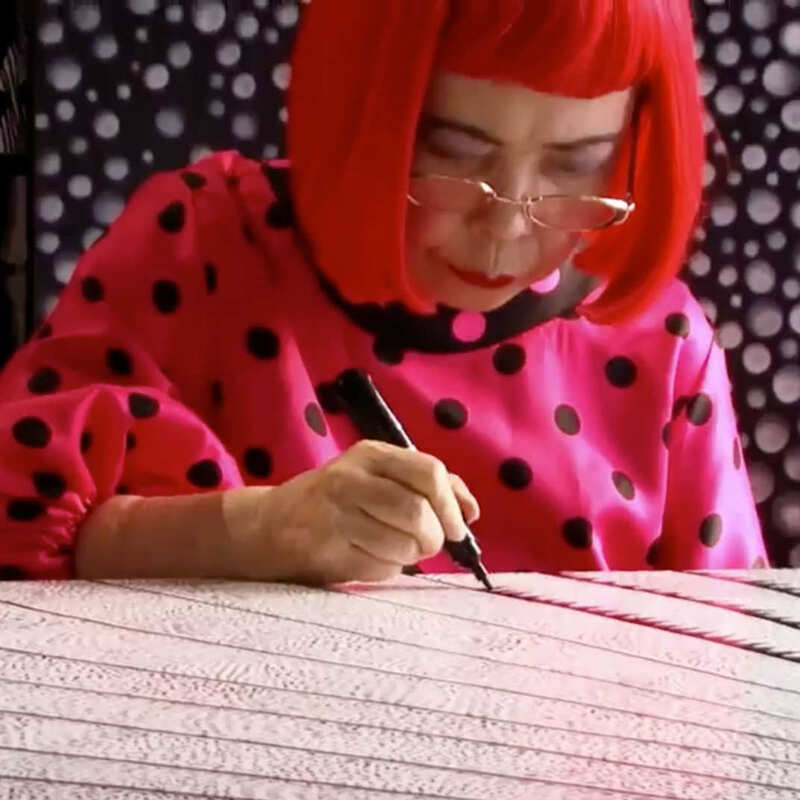 Watch the Trailer for the Yayoi Kusama Documentary Kusama Infinity arrives in theaters today. 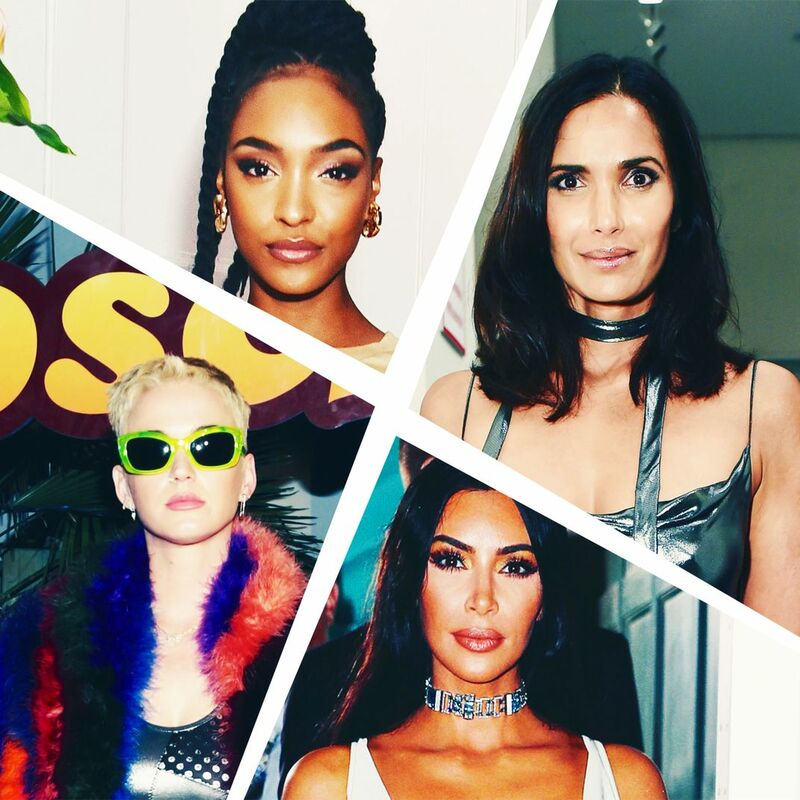 The Best-est Party Looks of New York Fashion Week Day One One awe-inspiring look from every fête that mattered. 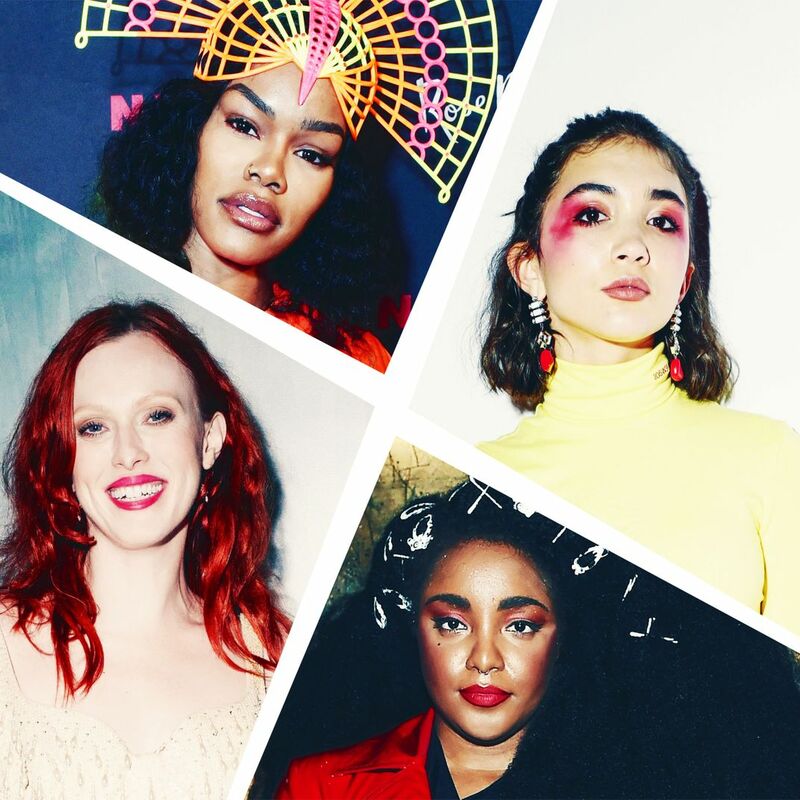 A Fashion Week Party in a Chinatown Basement Featuring Japanese Breakfast, a bunch of models, and a statue decorated with string beans. 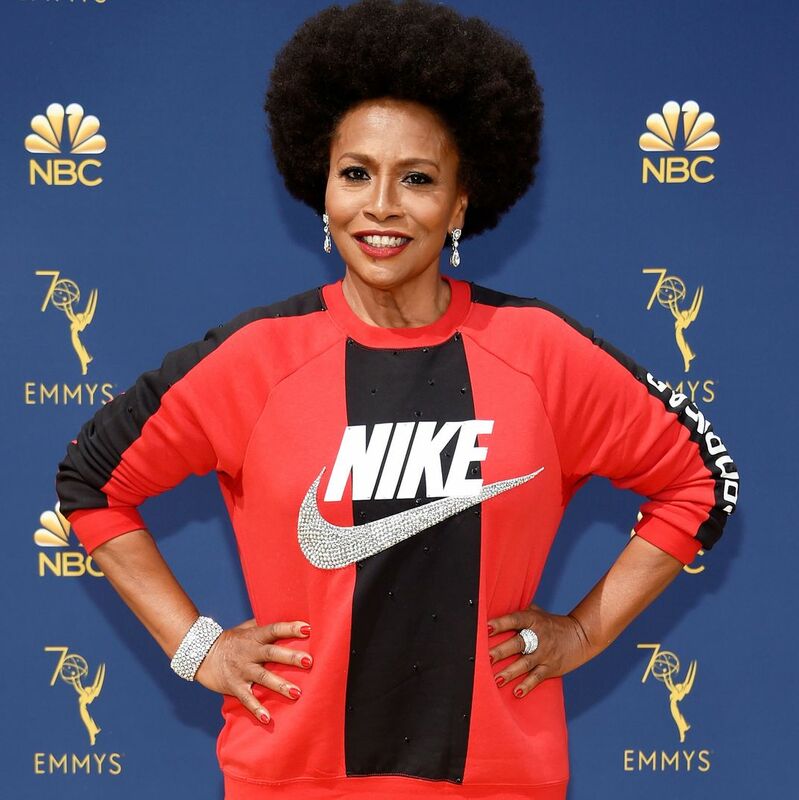 It’s Not Too Late to Throw a BBQ Send the email now! 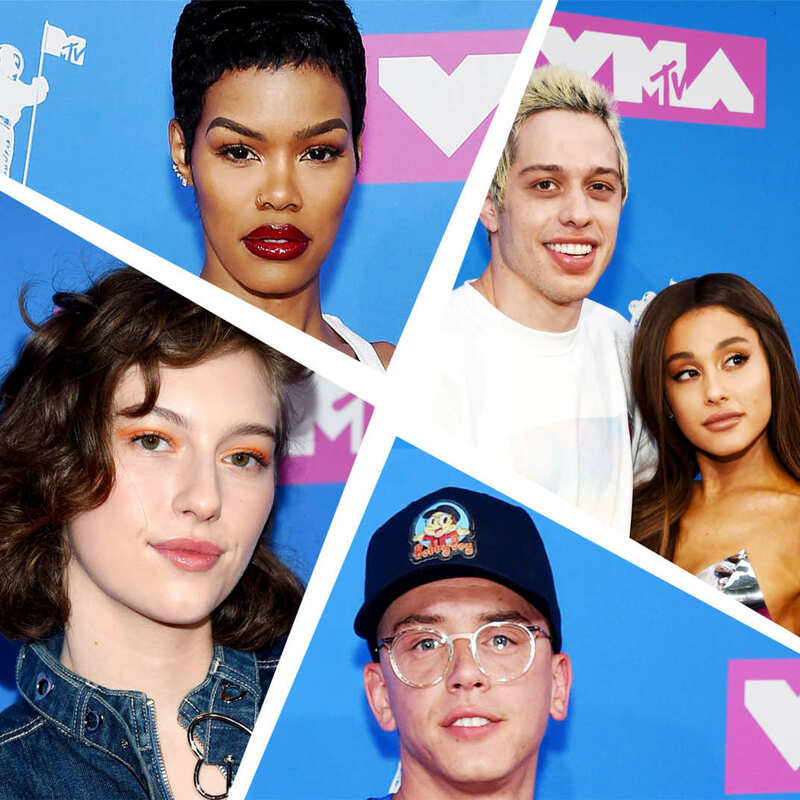 MTV VMAs 2018: The Best and Most Casual Looks If the streets are the new red carpet, where does that leave awards shows? 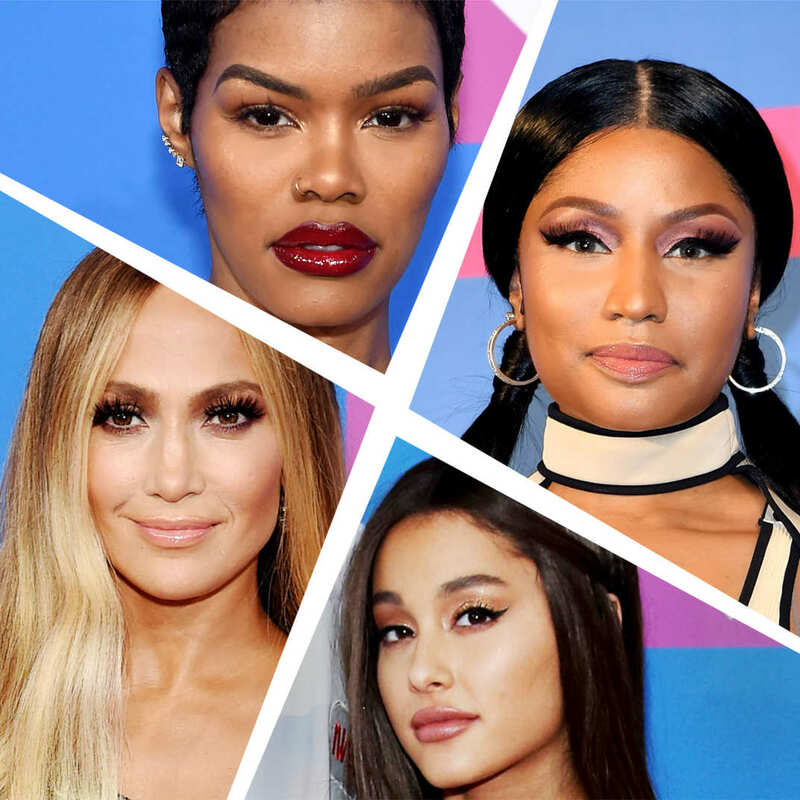 The Best Hair and Makeup at the MTV VMAs 2018 From Nicki Minaj’s pigtails to Ariana Grande’s lack of ponytail. 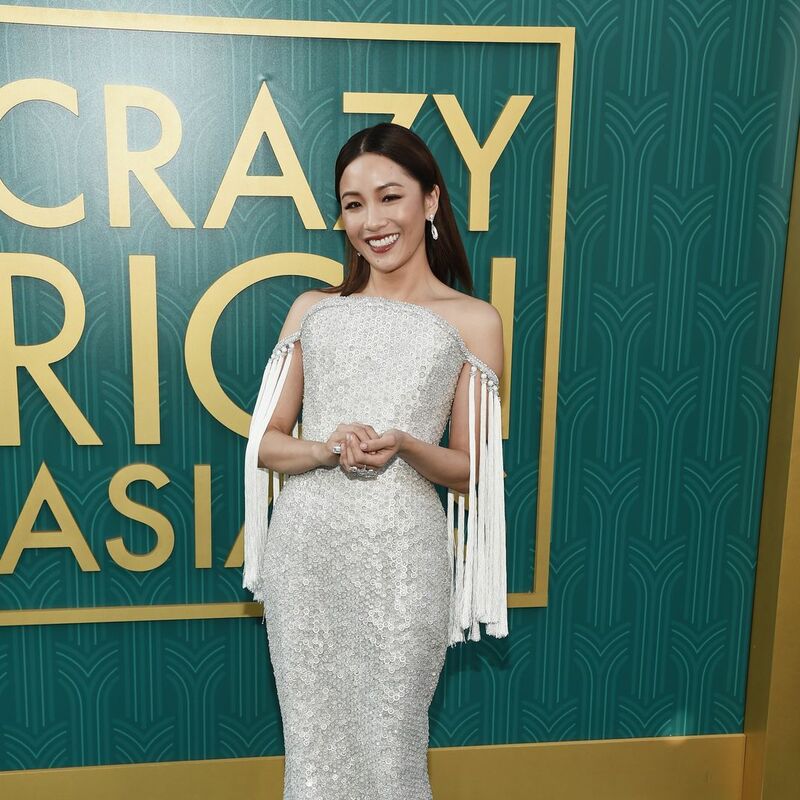 The Crazy Rich Asians Red Carpet Was Delightfully Over-the-Top See Constance Wu, Henry Golding, and more in their evening best. 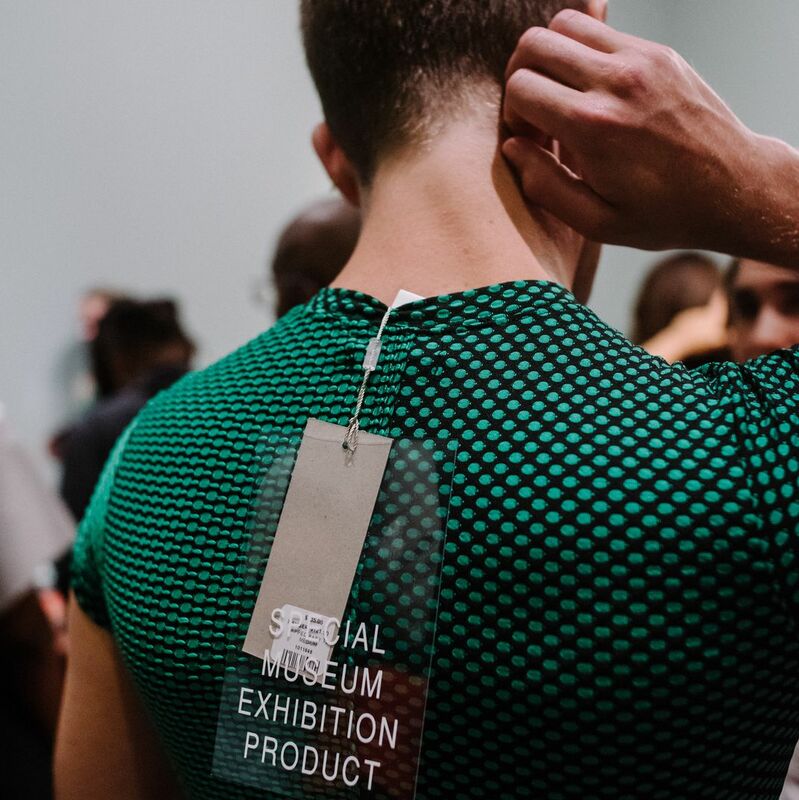 Inside an Art-Meets-Fashion Shopping Experience at the Whitney Museum Guests came to ponder the role of consumption in society — and to buy clothes. 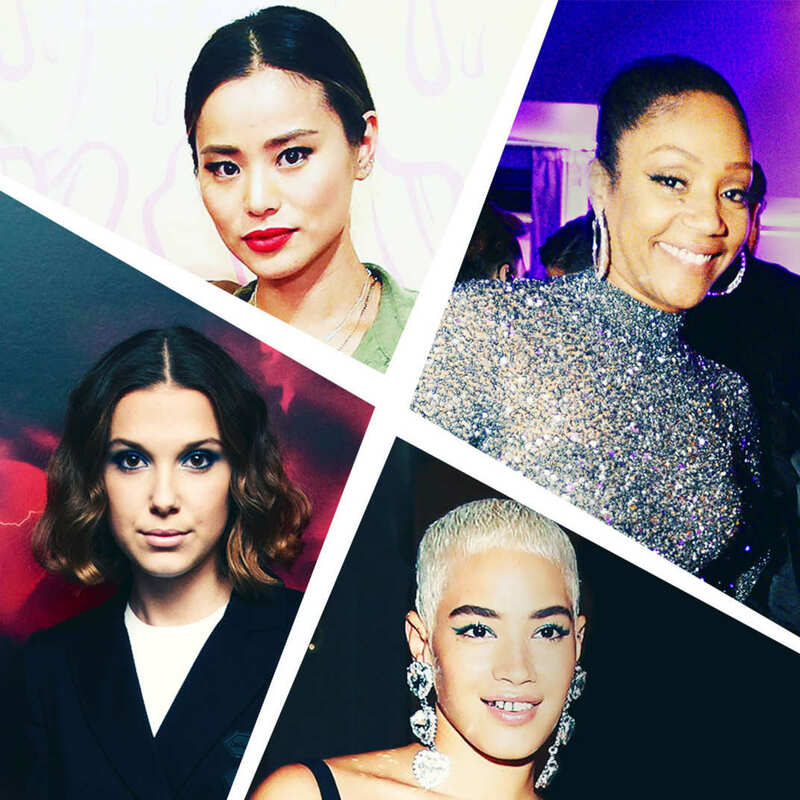 Hedi Slimane Had a Very On-Brand Birthday Party in Paris There were plenty of tight pants. 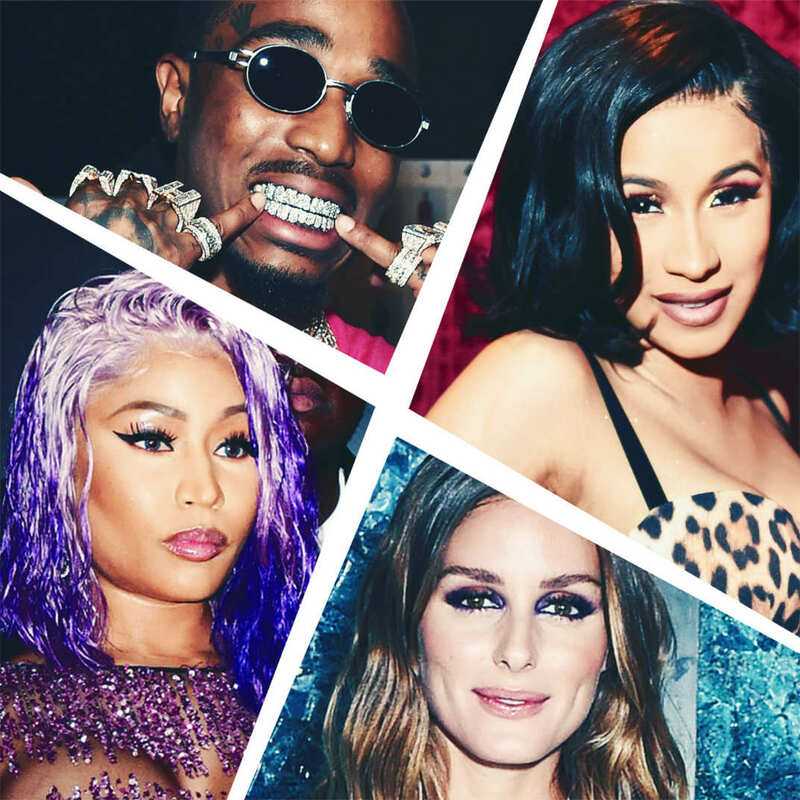 All the Best Looks From the BET Awards Red Carpet From Tyra Banks’s embroidered jumpsuit to Remy Ma’s polka dots.